The Hague Institute for Global Justice is pleased to announce a unique edition of its Distinguished Speaker Series. Four former Dutch Prime Ministers, serving from 1978 to 2010, will give their perspectives on global justice, international relations and institutional governance. 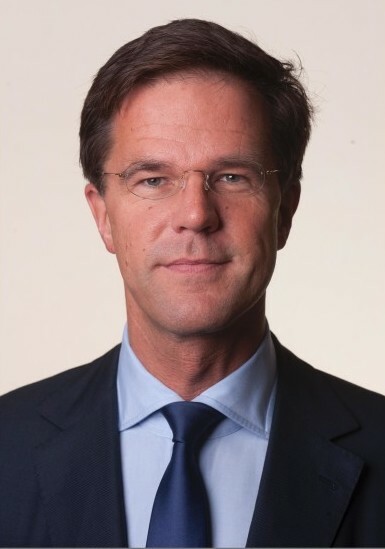 Introducing this series is the current Dutch Prime Minister Mark Rutte. The first installment welcomes Dries van Agt on Tuesday, 19 May 2015. Where the power of law ceases, there war begins.’ Almost 400 years later, Hugo Grotius’ remark in De juri belli ac pacis remains an excellent summary of the intimate connection between law and peace. The Netherlands has for centuries upheld this idea, and our country’s long tradition of promoting international law is tangible and visible in The Hague. Hosting the Nuclear Security Summit in 2014 only confirmed the city’s reputation as the international city of peace and justice. As Dutch prime ministers, Dries van Agt, Ruud Lubbers, Wim Kok and Jan Peter Balkenende played a vital global role on the Netherlands’ behalf for many years. Their combined terms in office ranged from the apogee of the Cold War to the fall of the Berlin Wall, from the first Gulf War to the aftermath of 9/11, and from the bipolar world of an earlier epoch to the multipolar world of today. With this extraordinary series of lectures, The Hague Institute for Global Justice is offering the public an opportunity to see the changing world through the eyes of my predecessors. Their knowledge and experience guarantee many unique insights into the past, present and future. It is therefore my pleasure to warmly recommend this series. The first installment of the Premier Perspectives Series launched on 19 May 2015 with former Dutch Prime MinisterDries van Agt (1978-1982). Mr. Van Agt analyzed the landscape of global justice and offered viewpoints on reform of the United Nations and the undervalued role of international legal institutions such as the ICC and the ICJ. The series continued on 4 June with Ruud Lubbers and on 17 June with Professor Jan Peter Balkenende. The last speaker was Wim Kok who lectured about Global Justice on 14 October.